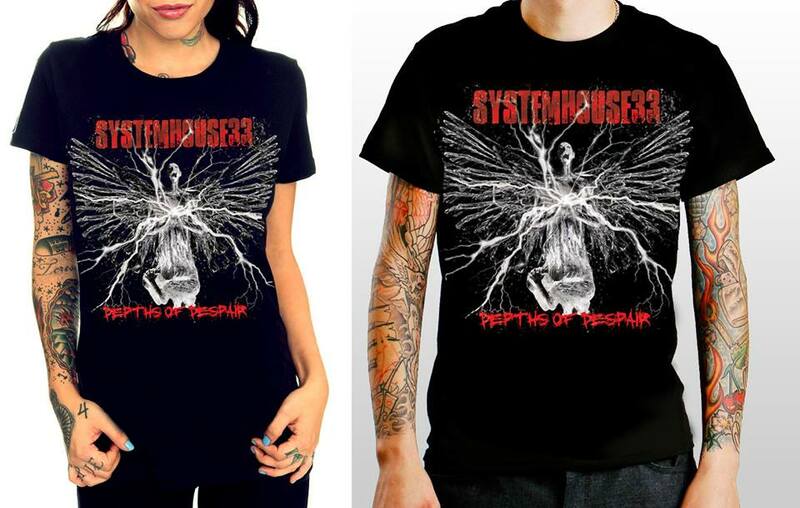 SystemHouse33 releases new merch – Depths of Despair T-Shirts! The long wait is over!! SystemHouse33 is pleased to announce that the much-awaited “Depths of Depair” t-shirts are finally up for grabs. The tees have been designed by fashion designer Nicole D’Souza and are available for pre-booking in India! The T-shirts are priced at INR 300 (plus shipping charges). If you would like to own one of these tees, visit our Facebook page at www.facebook.com/systemhouse33 and drop us a message to place your order or email us at danieldsouza33@gmail.com. Depths of Despair is the band’s fourth album which was released in March 2013. The album can be ordered online on Bajaao.com and OKlisten.